What’s really in your swimming pool? Whether you’re just cooling down or swimming competitively, the pool is a summer staple. But before you dip in, you might want to jump in the shower. Scientists warn that bad hygiene among swimmers allows harmful disinfection by-products (DBP) to form in pools. 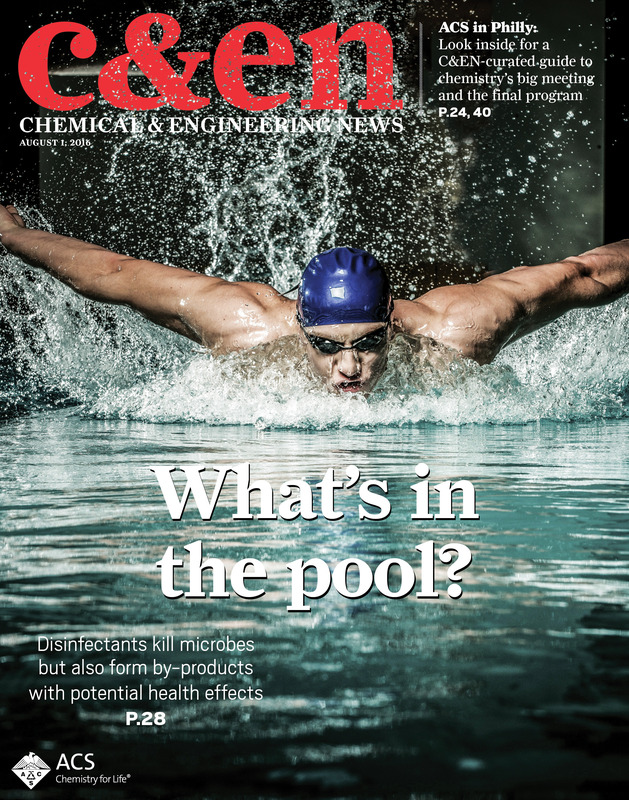 An article in Chemical & Engineering News (C&EN), the weekly newsmagazine of the American Chemical Society, dives into the issue to see how swimmers can tame potentially troubled waters. Celia Henry Arnaud, a senior editor at C&EN, explains how DBPs form when chorine and other chemicals used to treat pools react with organic matter, such as dirt, sweat and urine. Pools often recirculate the same water for days, causing the chemicals to accumulate. DBPs can corrode the stainless steel parts around pools, which has led experts to wonder what effect they are having on our bodies. Some researchers believe that these DBPs may cause respiratory problems such as asthma in swimmers. Although the issue exists for all treated pools, professional swimmers are much more likely to be affected because they typically sweat and urinate in the water during long practices. Although the science is still out on how to eliminate DBPs altogether, there is one simple way to make it better — practice good hygiene. Taking showers before entering the pool and refraining from urinating in the pool won’t completely solve the problem, but these simple measures could go a long way toward creating a safer environment. This might be something for the Olympic swimmers in Rio to think about before going for the gold.